How can our system administrators identify unnecessary servers on the network? Problem: An online retailer needed to consolidate datacenters, but was wary of potentially causing outages in the process. Desired Outcome: Identify and decommission unused servers without affecting customer access. Solution: Using the ExtraHop platform's automatic application discovery capability, the retailer was able to quickly and easily create an inventory of all of their servers. User Impact: The consolidation saved the company $100,000 and was completed two months ahead of schedule. Microservices Part One: Going Micro for Macro in Cloud solutions. A major online retailer was considering a consolidation and cost-cutting virtualization initiative, with a goal of saving $100,000. The last time the company had attempted such an initiative, they removed several devices that unexpectedly caused high priority outages. This time, ensuring customer access during and after migration was the highest priority. The system administrators needed to verify server functionality and dependencies as well as to identify devices and services that could be consolidated or removed. 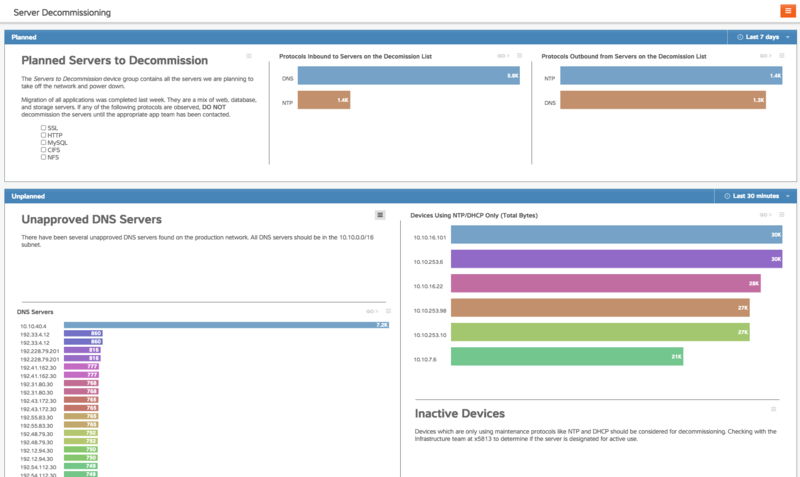 Identify and decommission unused servers without affecting customer access. A major online retailer was considering a consolidation and cost-cutting virtualization initiative, with a goal of saving $100,000. The last time the company had attempted such an initiative, they removed several devices that unexpectedly caused high priority outages. Using the ExtraHop platform&apos;s automatic application discovery, the IT team mapped key services such as DNS, HTTP, and MySQL and their usage. While the team expected to see 12 DNS servers, the ExtraHop platform instead exposed more than 200 of them, an extreme waste of resources. Next, the IT team identified dozens of additional servers that served no application function yet were still powered. To find these servers, the team identified devices issuing NTP and DHCP requests to internal services but using no other protocols. 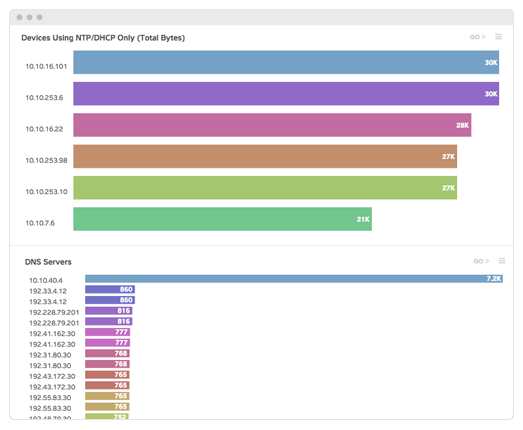 Before finally powering down each decommissioned server, the IT team used the ExtraHop platform to check the service against device activity, a final guarantee that no services would have to be re-enabled later. Using the ExtraHop platform, the system administrators completed the virtualization initiative two months early. They had no customer downtime and saved the retailer significantly more than the $100,000 projected.